"﻿Zombie ﻿& Survivor" Enthusiasts! 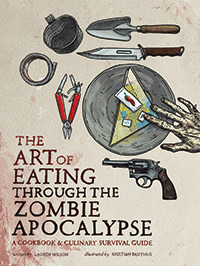 "San Antonio Zombie Fans" is for anyone who enjoys everything ﻿Zombie﻿! Everything from the classic Italian Zombie films to the American cult classics and modern day Zombie movies. Fans of the old style Zombie to the modern day super Zombie. Zombie Gamer of survival horror video games, old and new, Zombie book and comic collectors, Zombie Art, Artist and Zombie costume designers. If you're a true "Zombie Cult Fan" and would like to meet other enthusiast, Come join "San Antonio Zombie Fans." The night ﻿Zombies﻿ walk the streets of downtown San Antonio! K0de Gaming is an online gaming community and a channel on youtube. also have various give-aways throughout the year. "CLICK IMAGE TO VISIT WEBSITE"
BenBella Books is a Dallas-based publishing house that aims to be the publisher of choice for a select group of authors who value personal attention, a partnership philosophy, flexibility, and a creative approach to marketing. FUNDRAISING FOR THE SPIRIT OF CHILDREN. EVERY DONATION OF $2 OR MORE WILL RECEIVE A SPIRIT OF CHILDREN BRACELET OF CHOICE. EVERY DOLLAR DONATED GOES DIRECTLY TO THE LOCAL CHRISTUS SANTA ROSA CHILDREN'S HOSPITAL. COME HELP US MAKE HOSPITAL STAYS A LITTLE LESS SCARY FOR KIDS AND THEIR FAMILIES.